Observation - Brown-spot pinion moth - UK and Ireland. 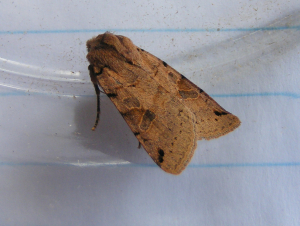 Description: Brown moth caught in light trap. Brown moth caught in light trap.